HDMI Forum has released HDMI Version 2.0, which promises to increase bandwidth significantly to take consumer entertainment to the next level, while extending support to tech companies to continue expanding new technology and higher end gadgets. HDMI 2 significantly increases bandwidth up to 18Gbps, which will enable support for 4K ultra high resolutions. 4K@50/60 (2160p) – that is 60fps technology provides 4 times the clarity of 1080p/60 video resolution currently seen with HDMI 1.4 which is widely available HDTVs. It also takes the immersive audio experience to the next level with support of 32 audio channels! It allows for simultaneous delivery of multi-stream audio upto 4 users and dual video streams to multiple users on the same screen with support for the wide angle theatrical 21:9 video aspect ratio. A good feature is that HDMI 2.0 Specification will be backward compatible with earlier versions which you use now to attach common gadgets like HDTV, video cameras, HD cameras, Playstations, etc. 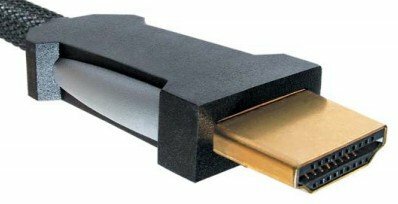 HDMI 2.0 was developed by the HDMI Forum’s Technical Working Group, a collaboration of top manufacturers in electronics, computers, mobiles and components. Category 2 HDMI cables which are often marked as “High Speed”, will support the HDMI 2.0 specification. So next time you buy HDMI cables, be aware that you buy the latest version for compatibility with your future gadgets.